Google My Business leads the host of online review systems we have today. When you search for a business, important information like phone numbers, websites and addresses will be displayed directly alongside customer feedback. The same info will appear in Google Maps, too. Seeing as all the info is handily displayed alongside a 5-star rating, you just can’t miss it, and neither can your customers. Positive first impressions are vital, they’re the first step in building confidence and trust in your business and since customers often click through to your site directly from search results, having those 5 stars filled is going to make a massive difference. Why are positive reviews so important? Positive reviews indicate positive business operation. These are absolutely essential for SEO ranking – especially local SEO ranking. Local search results point towards local businesses, and naturally, by Google’s design, the best choices are shuffled to the top. The array of businesses that Google shows depending on search criteria is known as their ‘local pack’, designed to quickly point people in the best direction for their request. More 5-star reviews increase your click-through rates and help shuffle your business up in the local pack. Both good and bad reviews have massive impacts on your business, it’s well documented and in a business’s infancy, building an initial batch of good reviews may prove decisive moving forward. This survey compiled by Zendesk found that an amazing 90% of researched individuals suggested positive reviews directly affected their decisions. 86% said negative reviews also influenced them. It’s a double-edged sword, you have to handle bad feedback correctly whilst incentivising and encouraging positive reviews. It’s a tricky game, and one you have to play right. If you are offering great customer service that impresses your customers and makes them happy then converting this success into reviews is still a bit of an art unto itself. It should be easy enough, but it’s rare that someone will volunteer positive feedback unless they’re really swept off their feet. Instead of leaving it wholly to chance, there are several steps you can take to optimise your chances of collecting positive reviews. It may well be easier than you think, and either way, it’s easier when you know how, so we’re going to tell you! So the first question raised is usually, how do you successfully ask customers for reviews? Of course, the primary objective should always be providing the best, most amicable, honest and transparent service possible in order to gain those natural, voluntary and unprompted reviews. Still, though, prompting customer interaction should always be viewed positively and if you ask for feedback then often people are willing to give it. You don’t want to come across as either too eager or too lazy when asking for a review. If it’s too early, there is a good chance the customer won’t know what to give you and that may result in a mediocre review as they feel they’ve been rushed. If you ask too late then they may just overlook it entirely. We’ll be going into more detail on this as simplifying the process into something which is easy to follow will be your best shot at encouraging a review. You need to be proactive and forthright in a way which is a natural request for information – not a demand. Courtesy calls or emails are two chances that you can take to ask for a review. Asking people what they think can encourage positive interaction if they are impressed. Incorporating links to reviews into your email signatures is a great way to expose the review system to customers on a regular basis. Incentivising people to give reviews is a great way to encourage positive interactions. This might be 5% off their next purchase, or a special deal…get creative and generous as long term, the rewards will pay for your generosity. This is an easy one, simply search up your company in Google. You should see the data on the right-hand side of the page near the search results. Another easy step, simply click ‘Write a review’ within your company data box. This opens the review box. This URL contains some key data. Firstly, the last digit in the link, the 3, is the part which opens up the review box itself. If you were to change this to a 1, then it’d open up all of your company’s reviews. When sending this link to a customer, it’s best to use the 3 to take them to the review box but here is a clever trick: if you add a 5 after that final comma after the 3 then the link will pre-highlight 5 stars within the review box. This means 5 stars are already highlighted – your customer just needs to add some descriptive text for the review and submit it. Easy stuff! That Google review link looks long and convoluted, right? Fortunately, within Google’s rather deep box of tricks we can find a tool named a URL shortener, which can be found here: https://goo.gl/. Simply copy in your link, click shorten and Voila! It’s now short, sweet and is sure to only fill up the one line on any email or message. Much better. We hope you are well today! Just dropping in to make sure you’re getting on well with (service/product) and to see if you have any comments, feedback or suggestions. We value you as a customer and we’d be incredibly proud to receive your feedback as we’ve built our brand around customer experience and henceforth, there is nothing more important to us going forward than to have your insight into the (service/product) that we provided you with. 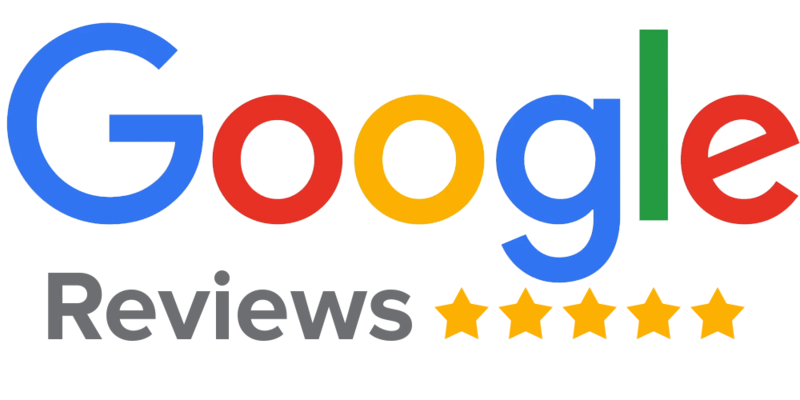 In this email, we’ve provided a link to our Google reviews page where you can log in to your Gmail account and provide us with a review of our services. This takes a matter of seconds and it means a lot to us! If you aren’t happy to leave us with a review, then please reply to this email or give us a call and we’ll do our absolute best to assist you no matter what your issue is! The internet is a free platform for people to vent or praise and only you can decide what they do. Local traffic and local Google searches rely heavily on reviews and in any situation, having your business backed up by your customers is the best way to establish yourself as a reputable business. Collecting reviews is a must to enhance your rep and increase your chances of getting repeat business, so combine excellent customer service with excellent post-purchase service to enhance your positive reviews.